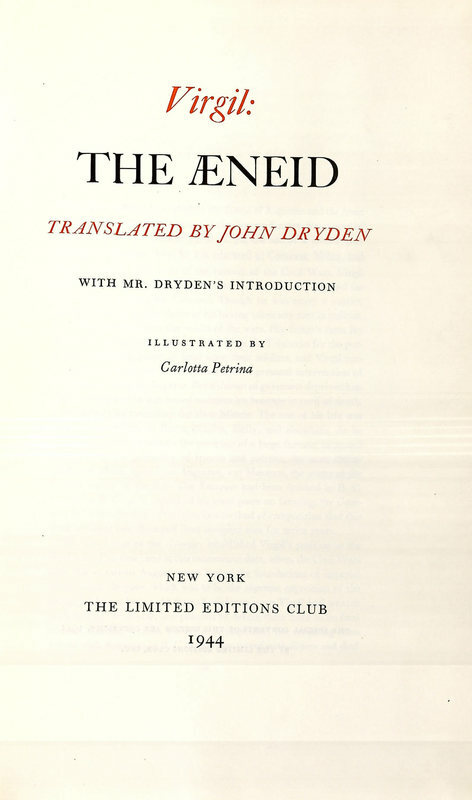 The Aeneid, Translated by John Dryden, with Mr. Dryden's Introduction. 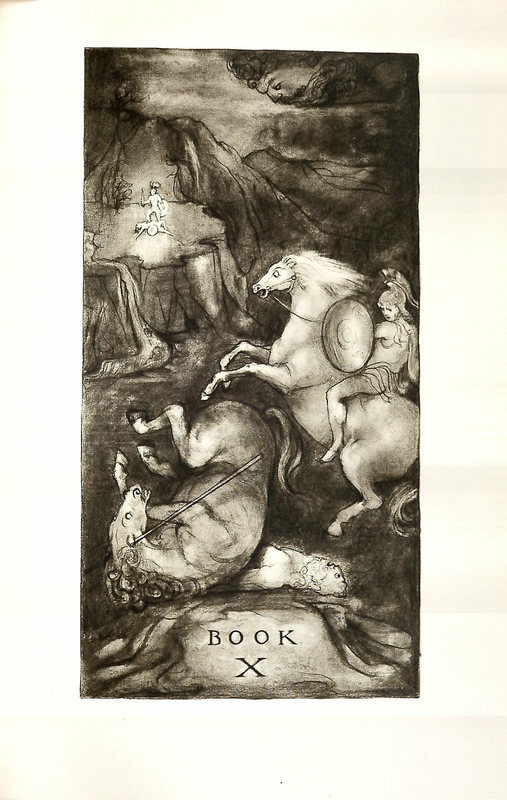 Illustrated by Carlotta Petrina. New York: The Limited Editions Club, 1944. This edition was printed in an edition of 1100 copies, Lehigh has copy no.964.